Sorry, friends, but now that the last plate of leftovers has been eaten, it’s time to emerge from our turkey comas and face the holidays — and all the frenzied shopping, social obligation, and family time that comes with them. Personally, I actually do enjoy all the Christmas rituals (if not for religious reasons). I put up a tree each year, send out cards, and bake more cookies than we could possibly eat. There are holiday movies to watch, spiked cider to drink, and sequined sweaters to flaunt. All grand traditions! 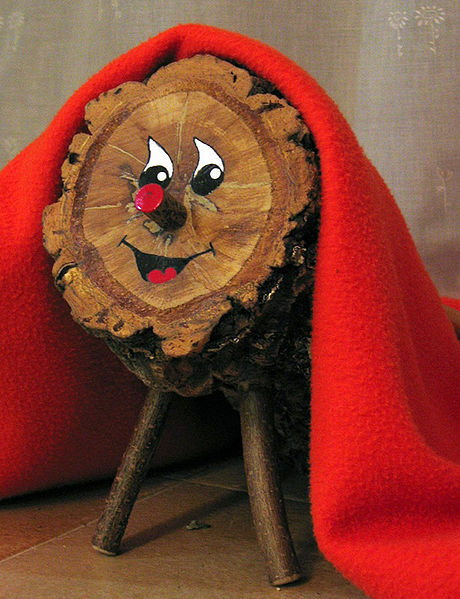 My other exciting new tradition is the Tio de Nadal, aka the “shitting log.” It’s a cat-sized log with stick feet and a jolly painted face, jaunty hat, and red blanket. On Christmas, you sing a song and beat the log with a stick until it “poops” candies and toys from under the blanket. Those Catalans really know how to party! I really can’t overemphasize how excited I am about this new family member. So how will you be managing holiday stress this year? Do you find comfort and familiarity in cherished tradition, or would you rather throw off the shackles of holiday obligation and guzzle egg nog straight from the carton in your underwear? Tell us your favorite tips for surviving the holidays — and, of course, your favorite holiday reads!